Mattermost is an enterprise messaging workspace for teams to collaborate privately and effectively. Our scalable on-premises and hybrid-cloud solution provides a centralized hub for intra-company communications increasing agility, efficiency and innovation. 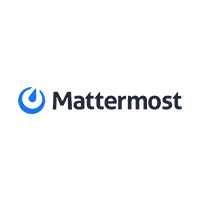 Mattermost’s adaptable, open source platform unifies desktop and mobile messaging, integrating with vital applications to enhance personal productivity, team alignment and organizational competitiveness. Mattermost was named a Cool Vendor by Gartner in 2018. Customers include four of the top ten banks in the world, leading organizations in healthcare, manufacturing and technology as well as government agencies worldwide.